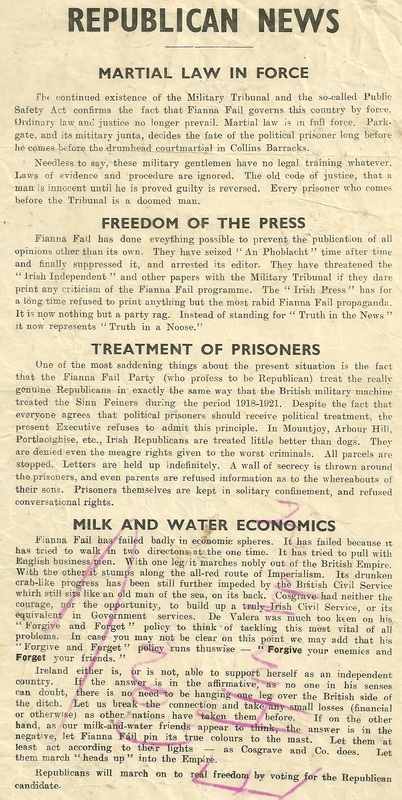 In 1929 a delegation from the Dublin Trades Union and Labour Council made the journey to Moscow to coincide with the twelfth anniversary celebrations of The October Revolution. The delegation included Miss K. N. Price, W McMullen, T Geehan, H.S. Ward, T Waldron, H J Tucker, Helena Molony, P Holohan, P.T. Daly and Robert Tynan. On Returning from their mission they issued this report. It is 56 pages , contains photographs, a description of their Journey, conditions of Workers Rights and details of the places visited during the visit. 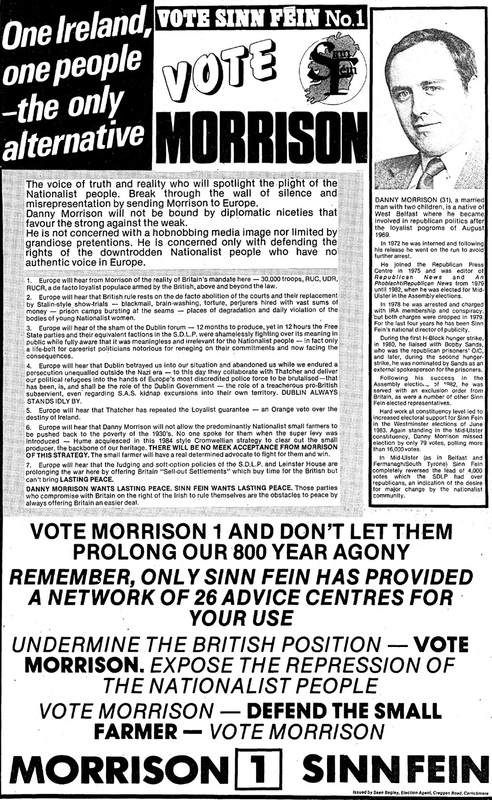 From the 1984 European Elections a leaflet from Danny Morrison running for Sinn Féin in Northern Ireland. 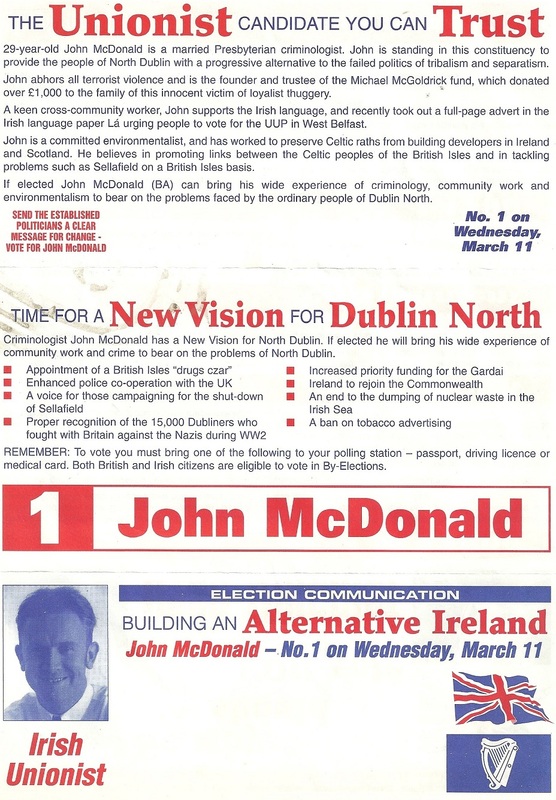 He polled 91,476 votes and missed out on a seat.